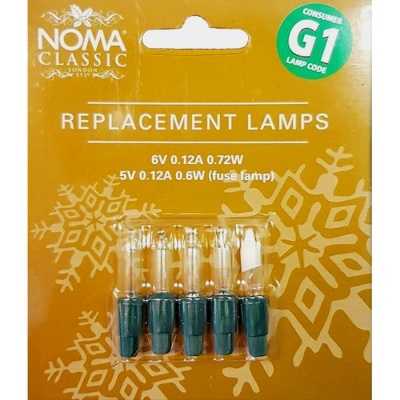 Noma® G1 6v Replacement Clear Lamps Pack (0344C) 0.72 watt push in fairy light fuse lamps for use with Noma 5 volt clear Christmas light sets. Set includes 4 x 6v 12A 0.72w clear bulbs, plus 1 x 5V 0.12A 0.6w fused lamp. 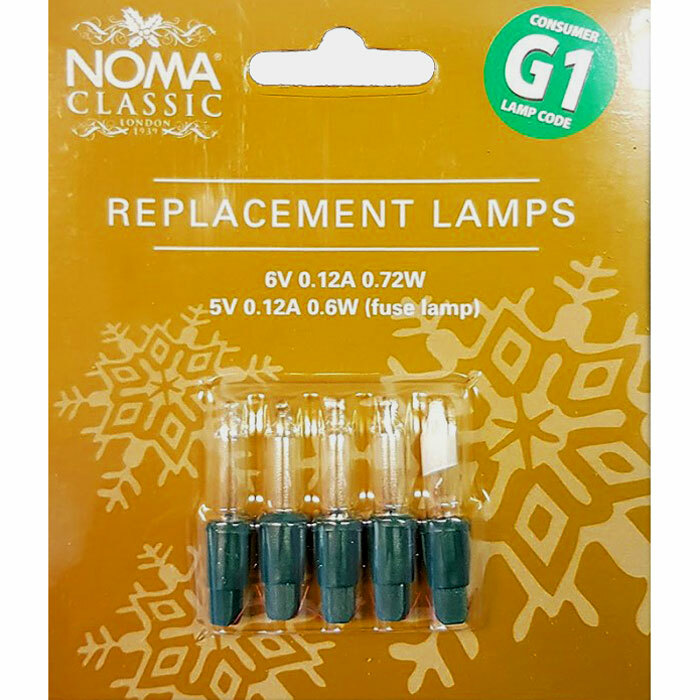 Simply match the consumer lamp code G1 with that on the cable label wrapped near the plug, to ensure these correctly correspond with your light set.